Founded in 1995, the Miso Studio, is an independent studio for creation, production and diffusion of music, research and development of electronic music, as well as other multidisciplinary creations created with the use of computer. 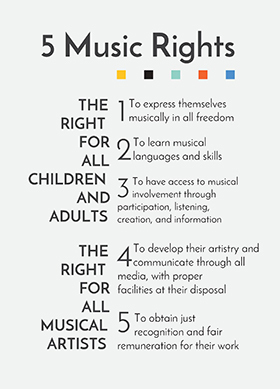 In the first place, its objective is to support various areas of music creation and production, which are connected with technology. Secondly it carries out and develops research projects, including punctual implementation of software and hardware. various collaborations with soloists as well as Portuguese and international groups, with the aim to prepare the electronic parts and assure their performance in concert. 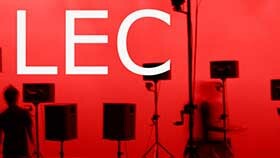 In 2005 the main studio was joined by the second one designated as the Lab for Electroacoustic Creation (LEC), which offers creation residencies to Portuguese and foreign composers. The creation of the LEC initiated a number of partnerships with foreign studios, in order to organize a part of the available residencies in cooperation with these institutions. a) With regards to the support, which the Miso Studio has provided to the Música Viva Festival one should refer, in the first place, the research and, consequently, the development of software, which in 1995 allowed to create the first Portuguese Loudspeaker Orchestra, premiered at the Música Viva Festival in the same year. The Loudspeaker Orchestra developed by the Miso Studio is nowadays an unique and internationally renowned instrument for electroacoustic music interpretation and sound diffusion. Secondly, one should mention the support provided by the Miso Studio within the elaboration and preparation of either "tape" or live electronic parts of various works, presented at the Música Viva Festival, and composed by young composer with emerging careers or already affirmed creators, such as Emmanuel Nunes, Clotilde Rosa, Cândido Lima, Enrique X. Macías, Isabel Soveral, João Rafel, Pedro Amaral, Pedro Rebelo, Miguel Azguime, Tiago Cutileiro, Bruno Gabirro, etc. Finally the Miso Studio provides the whole technological side of the Música Viva Festival and Miso Music Portugal's Season, in terms of diffusion of multichannel electronic works, of "tape" works, as well as the mixed ones with live electronics. 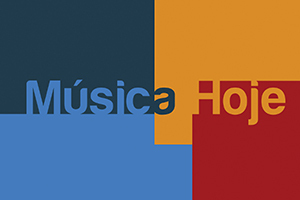 c) When it comes to the collaboration with the Portuguese Music Research & Information Centre, the Miso Studio has provided the archive consisting of an important number of recordings of works by Portuguese composers, some of them already historical. The Studio has been carrying out not only their digitalization and preservation, but also preparing their sample fragments for subsequent online publication, or at the request of programmers and foreign promoters, with the aim to promote Portuguese music. d) The technical endowment and experience gained over more than 20 years of Miso Studio's activity, are today a guarantee for a quality proposal in the pedagogical area, which crosses music and technology. 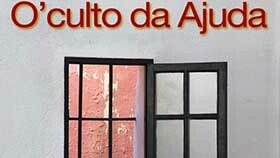 In this context the Miso Studio provides the technical support necessary at all pedagogical initiatives of Miso Music Portugal - from computer music courses to composition masterclasses conducted by renowned Portuguese and foreign tutors (Tomás Henriques, António Ferreira, André Sier, Miguel Azguime, António de Sousa Dias, Cort Lippe, Trevor Wishart, Simon Emmerson, André Bartetzki, Barry Truax, Agostino Di Scipio, Eduardo Reck Miranda, Claude Cadoz, Morton Subotnick, Jean-Claude Risset, François Bayle, John Chowning, among many others). e) One of the main Miso Studio activities has always been the preparation of electronic parts (diffusion, processing and spatialization controlled by computer including recasting of older pieces) of a significant number of mixed works (combining acoustic instruments and electronic means), including pieces with multimedia elements such as video, automated illumination or various sensors for live interaction, etc. Mark Foster, Tsun Yeh, Renato Rivolta, Stefan Asbury, Joahnnes Kalitzke, Dominique My, Rolf Gupta, Peter Rundel, Olivier Cuendet, Laurent Cuniot, Frank Ollu, Guillaume Bourgogne, Jean-Sébastien Béreau, Petter Sundkvist, Jorge Mata, Pedro Amaral, Pedro Pinto Figueiredo, Pierre Strauch, Alain Damiens, Alain Neveux, Jean-Marie Cottet, Xing Rufeng, Gao Yonping, Miguel Azguime, Paula Azguime, Robert Glassburner, Franziska Schroeder, Nuno Pinto, Ana Telles, Ensemble Recherche, Ensemble Aventure, Ensemble Intercontemporain, Ensemble Hua Xia, London Sinfonietta, l’Autre Trio, Smith Quartet, Remix Ensemble, Miso Ensemble, Grupo de Música Contemporânea de Lisboa, Ensemble 20/21, Sond'Ar-te Electric Ensemble, Smith Quartet, Quarteto de Cordas de Matosinhos, NEO Norrbotten, Orquestra Gulbenkian, Orquestra Nacional do Porto Casa da Música, OrchestrUtopica, Coro Gulbenkian, Singcircle, Coro Infanto-Juvenil da Universidade de Lisboa, among many others. The Miso Studio is the permanent studio of the Sond'Ar-te Electric Ensemble.